Our Melbourne Building and Pest Inspector will conduct a thorough Termite and Timber Pest Inspection. Timber pests include Subterranean Termites, Wood Borers and Fungal Decay. These pests all cause significant damage to residential properties throughout mainland Australia. Termites enter your home without you knowing and silently eat the structural timber behind your plaster wall linings, under your floor and in your roof. They can go undetected for years; happily having breakfast, lunch and dinner at your expense. During a Termite Pest Inspection, special attention is paid to identifying active infestations and damage caused by termites – the home owner’s No. 1 enemy! Building Inspections Australia offer expert Timber Pest Inspections. We investigate timber pest attack and give a full written condition report regarding the susceptibility of termite infestation at your next potential property. 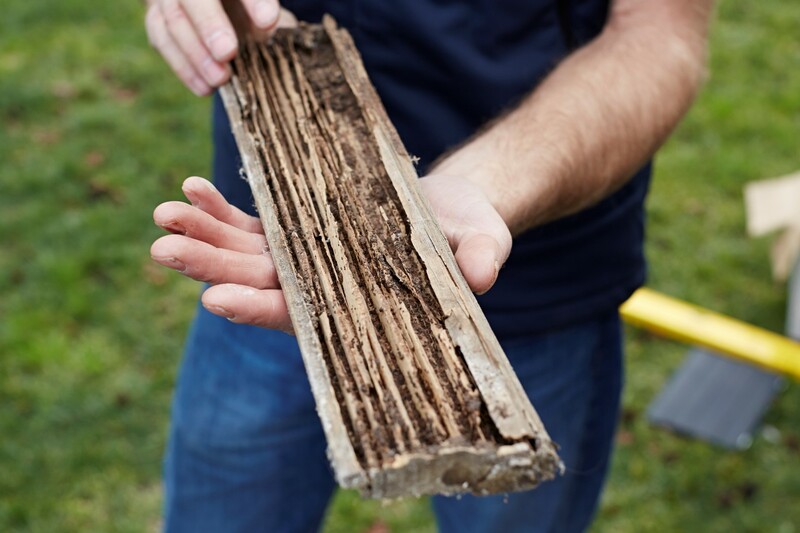 It’s a known fact that termites cause damage to 33% of residential properties on mainland Australia. 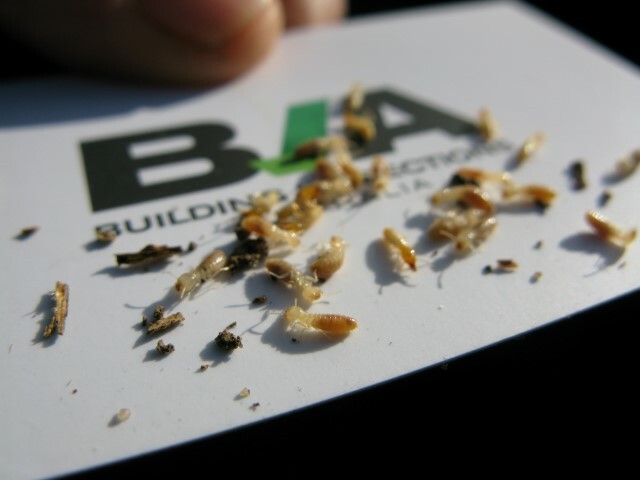 Don’t become a statistic, call BIA and get an Melbourne Pest & Termite Inspection today. The majority of our clients choose to combine a Building Inspection with their Pre Purchase Pest Inspection for total peace of mind, as it’s the best value for money and the most comprehensive inspection service offered by BIA. See our Melbourne Building & Pest Inspection page for further information. Annual Termite Inspections in Melbourne are highly recommended. Australian Standard AS3660 recommends that termite inspections are done at least every 12 months and are a vital requirement in the termite management plan for your property. Environmental factors and other changes can influence the susceptibility of termite attack and put your property at risk. The experts at Building Inspections Australia are on call to inspect your property for complete peace of mind. Building Inspections Australia complies with the relevant Australian Standards (AS 4349.1 and AS 4349.3). Our Building and Pest Inspectors are fully qualified and have full Professional Indemnity and Public Liability insurance. We are known for our excellent customer care and ongoing phone assistance to ensure that you have complete clarity and disclosure about the property.Call us today for more information on 1300 27 4349 or BOOK NOW!